Agriculture equipment maker ​Case IH is enhancing the robustness of its RTK+ correction signal network by adding the European Galileo system to the compatible satellites with which it works. The move will increase levels of signal reception and reliability for farmers using Case IH RTK+-guided autosteering and related technologies. 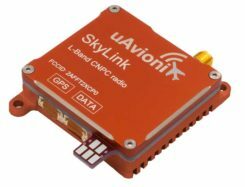 Real-time kinematic (RTK) systems typically depend on signals from the American GPS or Russian GLONASS satellite networks, both designed primarily for non-civilian use. To give European Case IH users a reliable alternative when using RTK+-guided steering systems with their sub-1.5-centimeter repeatable accuracy, Case IH AFS RTK+ now also uses Galileo. The addition of Galileo to the global GNSS constellation helps minimize the risk of signal failure, a key driver for the integration of its signals into the Case IH AFS RTK+ signal system. European satellite network independence is a principal objective, but Case IH AFS RTK+ is also designed to be compatible with existing and planned GNSS satellites and interoperable with GPS and GLONASS. Galileo benefits farmers by minimizing downtime from waiting for lost signals to be regained, and ensures consistent efficient use of seed, fertilizer and crop protection products through parallel passes with minimal overlap, thereby maximizing crop potential. “The use of GNSS technology is opening up new productivity levels and opportunities in European agriculture, providing farmers with an unprecedented level of knowledge about their crops, livestock and operations while making the sector more efficient, economically competitive and environmentally sustainable,” said Maxime Rocaboy, product marketing manager, AFS technology, at Case IH. “Enhanced RTK+ accuracy through incorporation of signals from the Galileo satellite system is a core way in which we can help Case IH tractor and combine users be innovative and competitive as they seek to help develop a sustainable agriculture to feed an ever-increasing world population in an environmentally responsible way,” Rocaboy said.